Canada is a beautiful country and a land of opportunities. It is filled with a plethora of attractions for tourists as well as immigrants seeking to find better work opportunities. This nation is known for its clean and healthy ambience and stable economy. Many people arrive here each year to live and settle down in this wonderland. If you wish to work in Canada as well, you first need to apply for a Canada Work Permit which will enable you to legally live and work in the country. 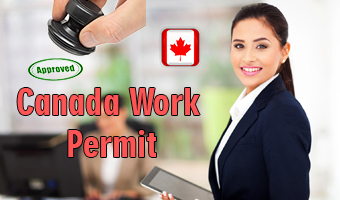 Read the below information to know how to get a work permit for Canada. A work permit for Canada is given to an individual who is not a citizen or permanent resident of Canada, yet wishes to work here. It is a mandatory work permit, irrespective of whether the employer lives in Canada or not. The validity is only for specific time duration and for a specified job only. This means that a single work permit is applicable only for the intended work. If you want to switch jobs, you need to apply for a new permit again. This is a two-fold process. In the first level, a Canadian employer must receive an approval from the Canadian government to hire foreign workers. At the second stage, on being granted permission, the designated employees should apply for receiving a work permit. This work permit application requires verification from the Canadian labor market. This is known as the Labor Market Opinion (LMO). On getting a positive LMO, an individual can apply for a work permit. However, there are some categories which do not require this approval like NAFTA and Post-Graduate Work Permits as well as Intra-Company Transfers. If you want to apply Canada work permit, fill out our enquiry form, so our visa expert will approach you.